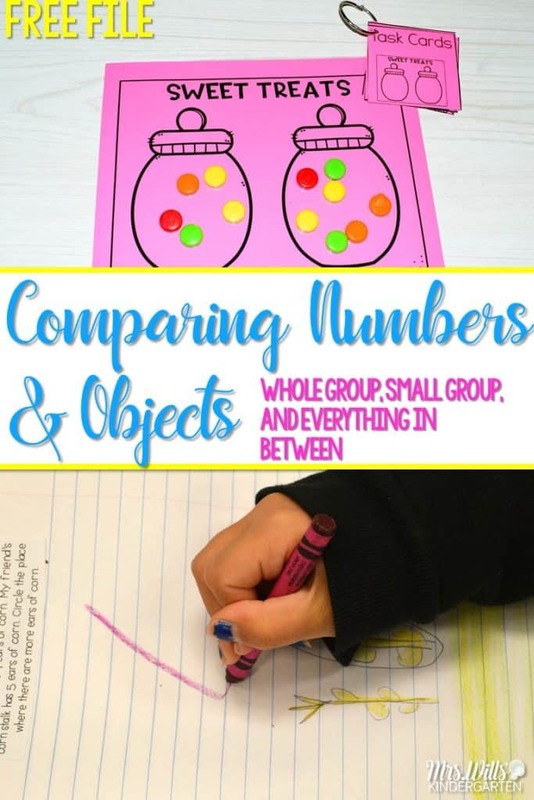 Comparing numbers in whole group math, small group math, math journals, and math stations…feeling overwhelmed? Hopefully, this post will help you see how I fit it all in. You can view a daily schedule HERE. Let’s start with the different components. (SIDENOTE: I have been asked about my spiral binding machine. You can see it HERE (Affiliate link). Whole group math is the time of day when, well…, I teach math to the whole group. We start with the mini-lesson, then students work with partners on a concept. We work on comparing numbers spirally in the year. We want to introduce the concept early and work with comparing a small number of objects. By using the cubes, we keep this concept concrete. Then later in the year, we work with larger objects. Now students are able to work more with pictorial comparisons. We love hands-on learning opportunities. We also love to combine skills such as the one above (addition and comparing). 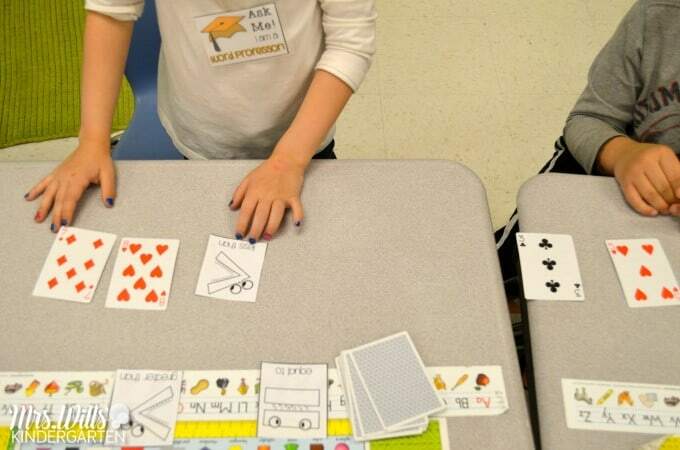 You can read more about our math workshop in THIS blog post. In addition to the lessons, we have added a few extra resource suggestions, such as videos and literature! 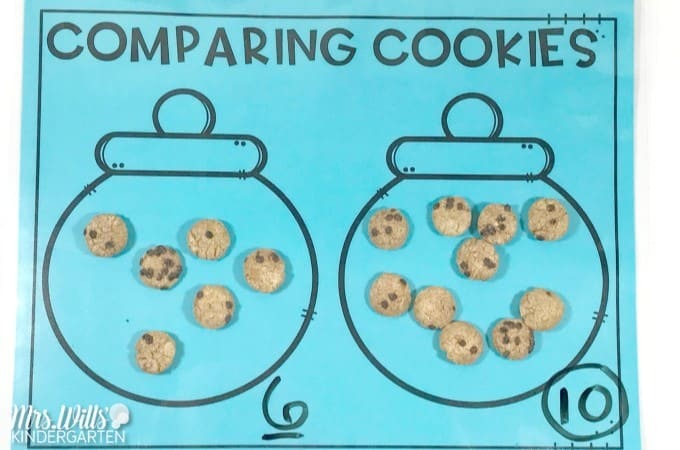 Here is a fun video that goes along with comparing. 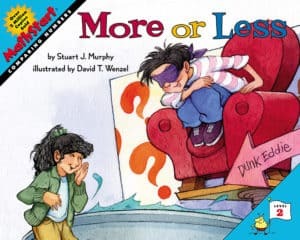 And you can find a literature connection with More or Less by Stuart J. Murphy. You can review our Whole Group Math Unit HERE. We are so thrilled that so many school districts have adopted our curriculum. Not all students step up to the same skills at the same time. Some students are right on target, some students need a bit more instruction, and still, others are ready to go beyond the lesson. So how to you make that happen? Just like in reading instruction, it happens during small group. First, you want to assess where the students are. 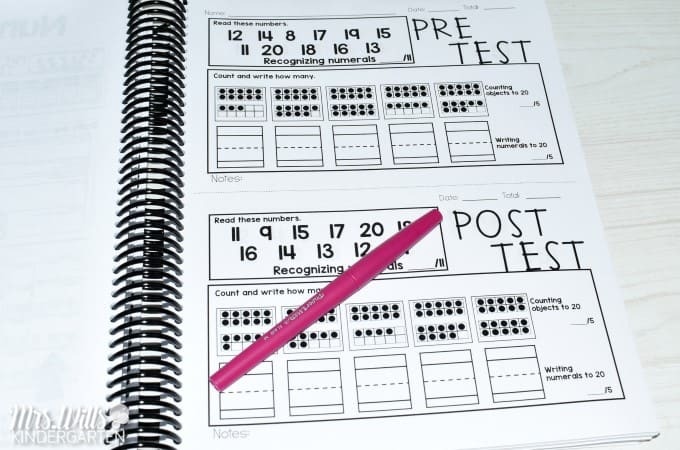 Some of these assessments are done through observation… simple. You may also want to run a quick Pre-Assessment. ESGI is also a great assessment tool. You can read more about ESGI by clicking HERE. Now you know where students are academically and what needs they have, you are ready to form your small math groups. I have made a planning sheet for you. You can download it at the end of this blog post for FREE (happy dance). Let’s say this is your small group schedule for the week. Group 1 might be working on comparing objects to 5. Group 2 might be working on counting objects to 10. Group 3 might be working on a completely different skill. That is the beauty of small group. You can give the students what they need WHEN they need it. 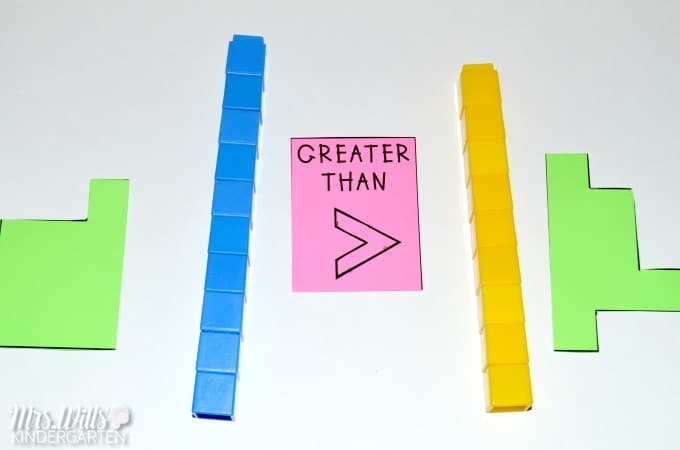 Learn how to print on Post-It Notes by reading Abby’s post HERE. 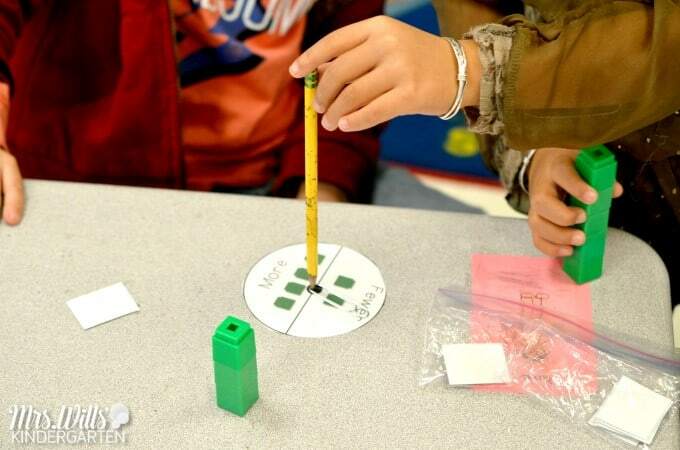 These are fun hands-on activities as well, but they are done with the teacher’s close observation and support. 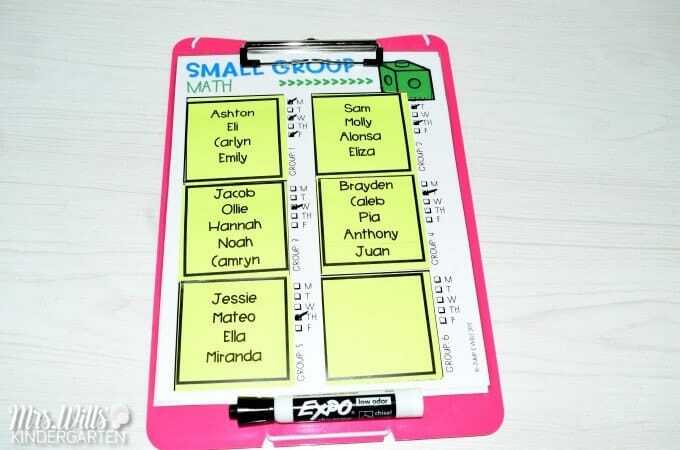 By keeping notes during the small group time, it allows you to adjust your groups whenever you need to. 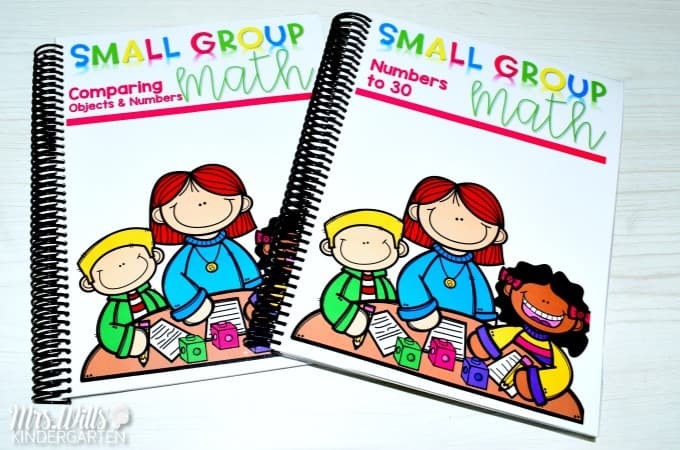 You can see our Small Group Math unit by clicking HERE. This is a whole group lesson. 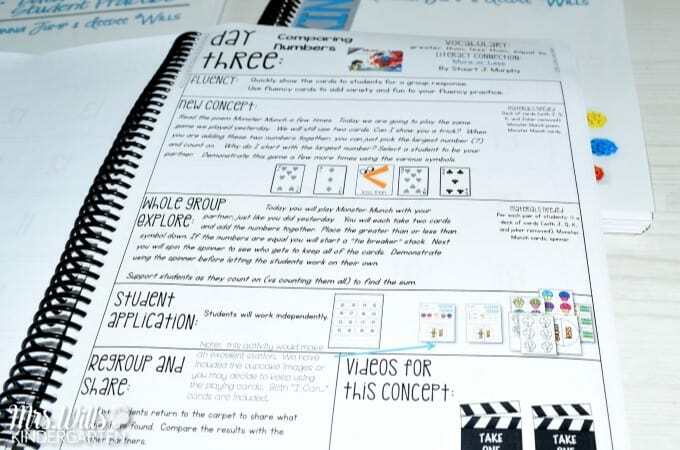 You can read more on how I run our whole group math journal time by clicking HERE. You can see these prompts by clicking HERE. I need to have time to pull small groups. Right? So I have a math center time in addition to my literacy center time. Naturally, we reinforce comparing objects and numerals during our center time, plus a variety of other skills. I try to keep skills spirally reviewed so the skills are constantly being over-learned. I also need to keep the skills PREDICTABLE because I can’t spend time “teaching the center,” because I am working with my small group. 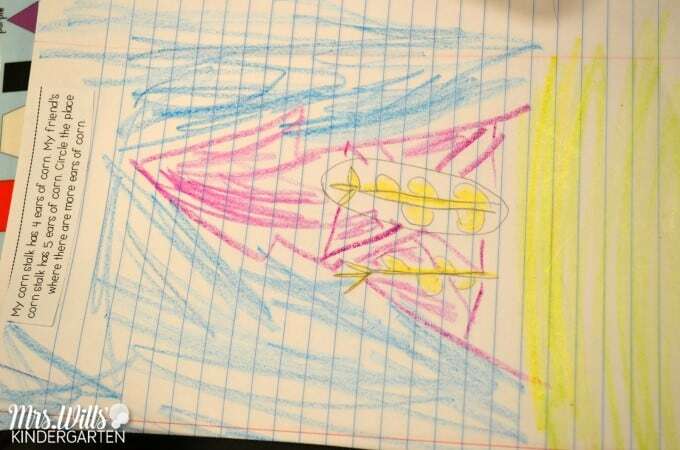 HERE is a blog post on supporting independence during center time. We have created math journals, extra practice pages, and centers that align with our math curriculum. You can see those by clicking HERE. I hope this gave you some management and resource ideas! You can grab your small group planning pages by filling out the box below. If you want to know more about small group reading/guided reading you can read THIS post. 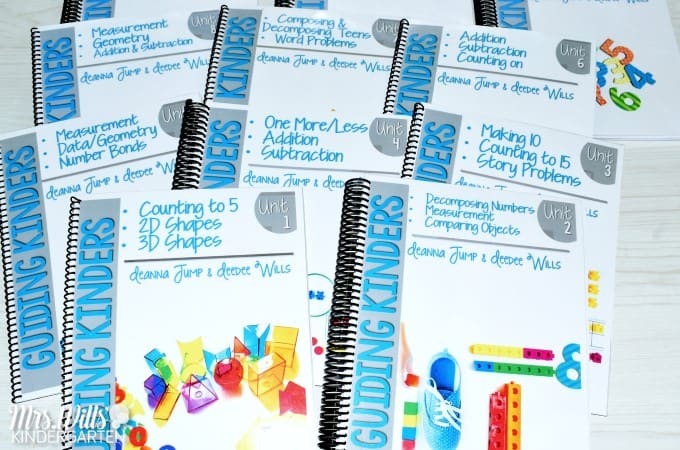 I have recently purchased all you and Deanna’s Math workshop units, as well as the Leveled readers series. I already have the Guiding Readers that I use this past year and LOVE it! I see in the photo above that must be recent since it is the updated covers, that you have spiral bound the units. I am getting ready to organize and have done lots of thinking about it. I love the spiral binding, but what do you do with the anchor charts and other materials that go with each unit? How have you organized them? I am also getting ready to make the Tool Kits! Any suggestions would be appreciated!!! The anchor charts were not put in the binders. I put the anchor pages on a clip that hung from my board (for Guiding Readers) and would flip it to the strategy we were working on. The board was right new to where I was conducting the lessons, so it worked great to focus the students. The same it true for the math and writing cards. I hope that makes sense. Hello, How do you get the freebie about sweet treats? I looked but cannot seem to find it. It mentions it is free. Thank you! Melissa, I’m sorry for the confusion. The planning sheets are the free file. Sweet Treats is one of the Small Group Math activities. Hello, How do you get the freebie about sweet treats? I filled out the box however I got the planning sheets and not the sweet treats. Thank you! Hi there! The free file is actually the planning pages. Sorry for the confusion. 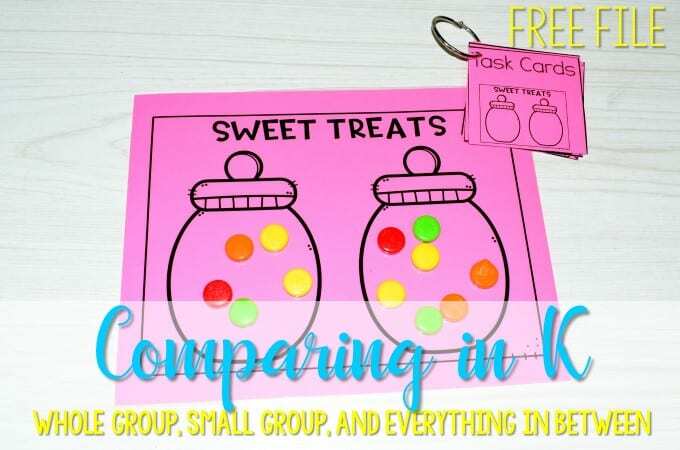 The Sweet Treat activity is part of the Small Group Math unit. How do we get this free file? for the planning pages? I cant seem to find the link. Thanks! There is a box with the link is at the bottom of the blog post, just scroll to the bottom of the post. You will have to use a valid email address and then the file will be sent to you. Hello! 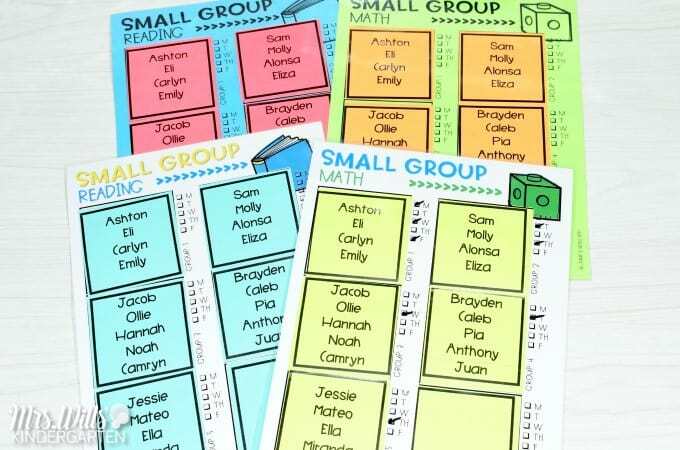 I am getting ready to organize my small group units. When you bind the units are you binding all pages and then making copies of the materials? 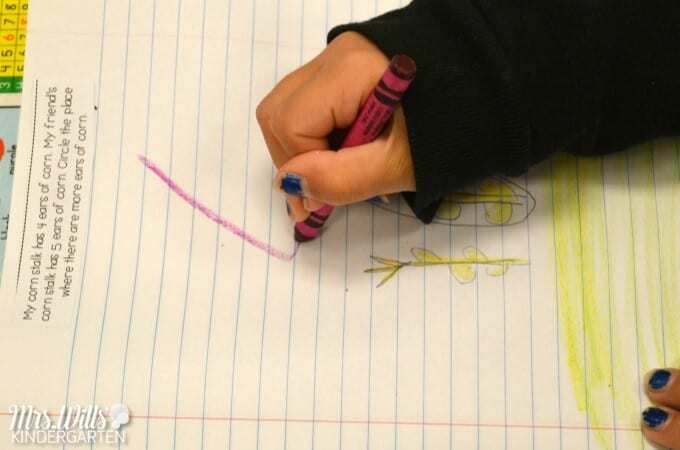 When coping on the colored sheets are you using cardstock? I am feeling overwhelmed…not sure if I need to visit my local print shop or do this at home. I did all of my printing at home, but YES! it does feel overwhelming at first. Yes, I used colored card stock. Ordered small group math after webinar but cannot download. Have tried multiple ways and sources. Help!🤪what am I doing wrong?